Mr. Burnett is a member of the firm's Natural Resources and Energy Section. Mr. Burnett handles a wide variety of energy, natural resources and environmental law matters for clients before federal, state and local agencies, and governmental entities. Mr. Burnett is also involved in various aspects of energy and utility development including obtaining governmental approval and related permits, as well as project operation and compliance. His practice includes telecommunications, water, property and contract law, and related litigation. Previously, he was an Assistant Attorney General for the State of Utah, Chief of the Public Utilities Section, handling all aspects of cases regarding gas, electric, telecommunications and water utility matters before the Public Service Commission of Utah and the Federal Energy Regulatory Commission in Washington, D.C. Prior to joining Kirton McConkie, Mr. Burnett practiced at a large local law firm where he was a shareholder, director, officer, and section chair. Mr. Burnett has been selected by his peers for inclusion in The Best Lawyers in America, Mountain States Super Lawyers, and Utah Business Magazine's "Legal Elite" in the areas of energy and natural resources law. He maintains an AV Preeminent with Martindale-Hubble Peer Review Rating, which is the highest rating awarded to attorneys for professional competence and ethics. 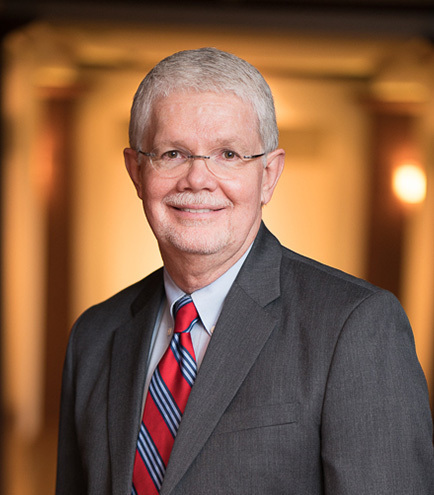 Mr. Burnett has served as the Chair of the Energy, Natural Resources & Environmental Law Section of the Utah State Bar, serving previously as the Energy Committee Chair. He served twice as the Chair of the Administrative Law Section of the Utah State Bar. He was previously the Chair of the Bonneville School Community Council. He is currently on the Leadership Committee of And Justice For All.